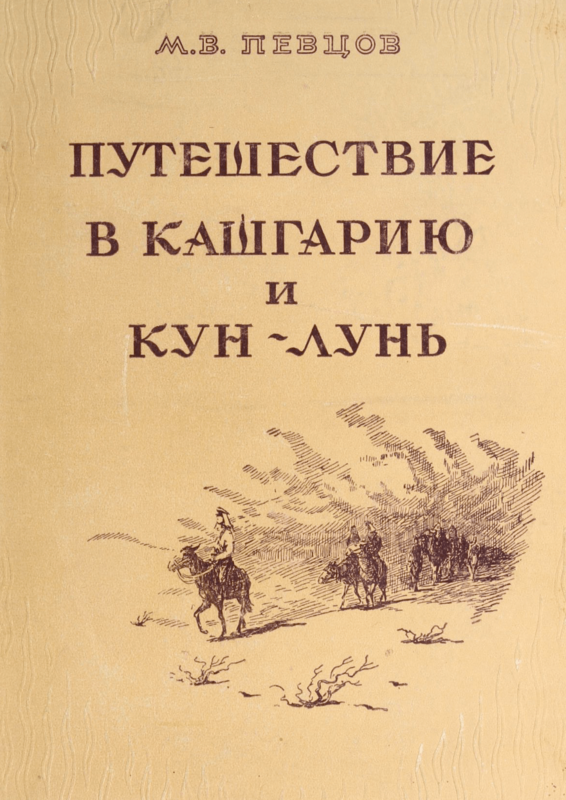 This map of Eastern Turkestan and Mongolia can be found on p. 37 in Путешествие в Кашгарию и Кун-Лунь [Journey to Kashgaria and Kunlun], written by M. V. Pevtsov and published in 1949. It is a pencil sketch map showing the different routes travelled by the Russian explorers M.V. Pevtsov, G.N. Potanin and N.M. Przewalski, respectively. 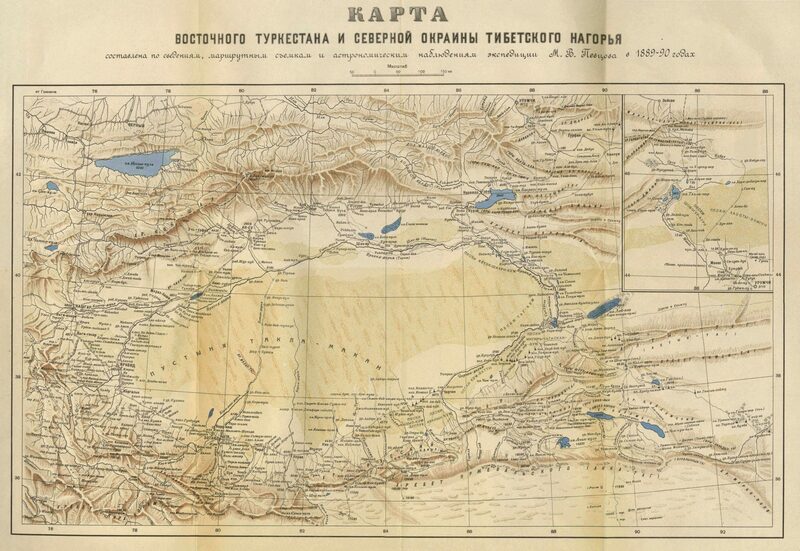 The author, Pevtsov’s expedition routes from 1876, 1878-1879 and 1889-1890 are located in Kashgaria and Dzungaria to the west and across Mongolia and the Gobi Desert in the northern part of the map. 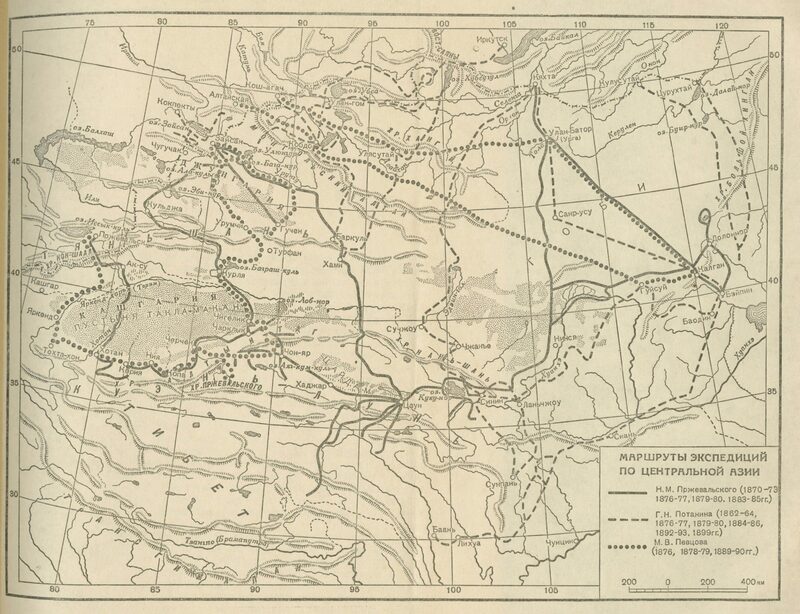 N.M. Przewalski’s expedition routes from 1870-1873, 1876-1877, 1879-1880 and 1883-1885 are marked across large sections of the map: around the Takla Makan Desert, Dzungaria, the Kunlun Mountains, the Tian Shan Mountains, the Gobi Desert and Mongolia. G.N. 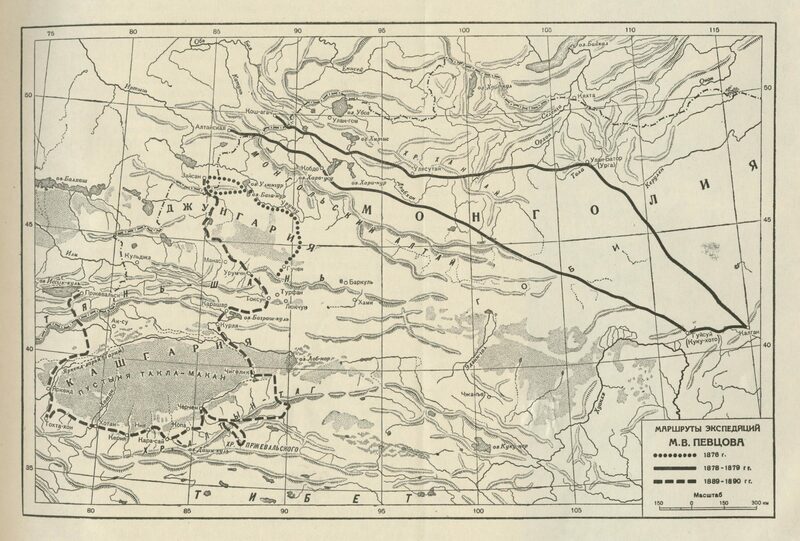 Potanin’s expedition routes from 1862-1864, 1876-1877, 1879-1880, 1884-1886, 1892-1893 and 1899 can be viewed in the Kansu region and in Mongolia. In addition, two other maps can be found in this book, one showing the Kashgaria region in greater detail, and the other the author’s expedition routes during the aforementioned time periods.